Business-Elite? Heute sehen wir uns ein weiteres Modell des ThinkPad T470s an, dieses Mal mit einem matten FHD-Touchscreen und einer etwas bodenständigeren Konfiguration als zuvor. Schlägt sich dieses Modell in unserem Test besser? At the end of the day, the Lenovo T470S is a bit pricey but is still a great laptop for Windows Insiders. It is not overly fancy and comes with excellent specs that make the unit future proof, a plethora of ports, a great keyboard and trackpad, and an excellent display. Battery life will also last all day, ensuring that you’ll never miss a Windows Insider build. You can purchase the Lenovo T470S from Lenovo by checking here. Base prices on the unit start at $1,079.10, with a more expensive option of $1,502.10. 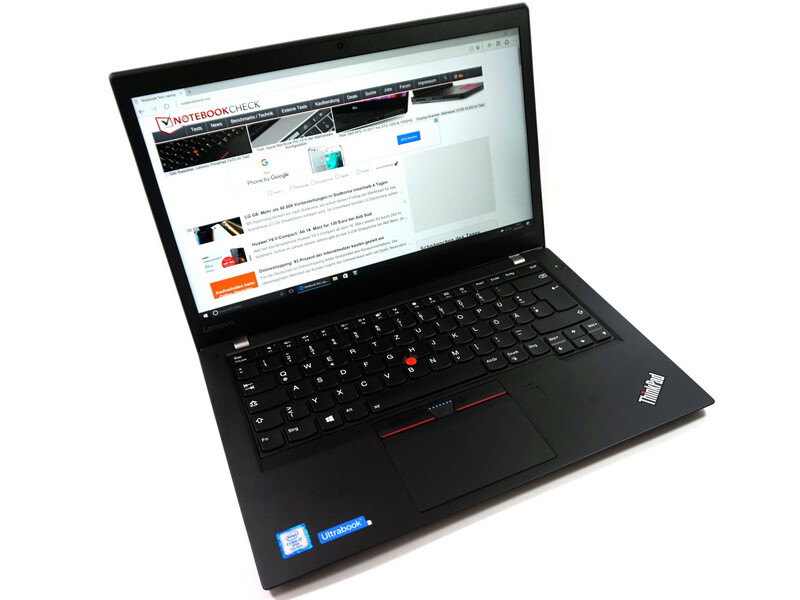 As a work laptop, the ThinkPad T470s might just strike an ideal balance for many mainstream users. However, starting at $975 and for $1319 or so as tested, this is a premium ThinkPad model with a price tag to go with it. Great performance and excellent battery life are what many are looking for, followed by light weight, a decent display and ample IO connectivity options. It just so happens, the Lenovo ThinkPad T470s has it all. The T470s comes with Windows 10 Home by default, or you can step up to Windows 10 Pro, as on our tested machine, for $30. All models come with what Microsoft calls "Windows 10 Signature Edition," a clean build of Windows with no trialware, third-party AV packages, unwanted toolbars, or other utilities. This helps speed bootup and also makes it easier for IT departments tasked with rolling out laptops to end users. The ThinkPad T470s is backed by a one-year parts-and-labor warranty with carry-in or depot service. Positive: Light weight; stylish design; good ergonomy. Negative: Poor display.